then Yorkton, where she completed her schooling. She knew SSJD had a school in Regina because “Mom was an Associate and wore her cross on Sundays”. 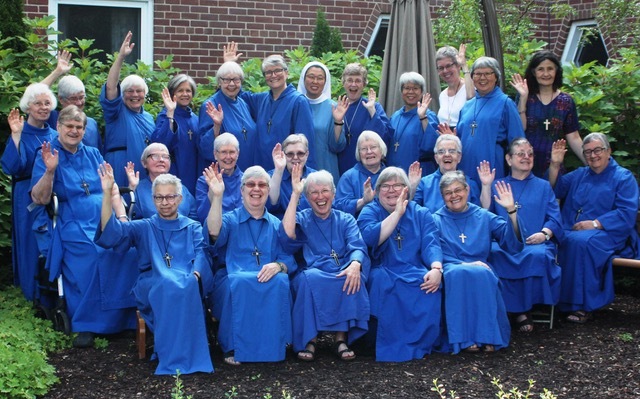 She recalls seeing “three Sisters walking across the Qu’Appelle Diocesan School (QDS) grounds when visiting the Diocesan office with her father, an Anglican priest. Although she appreciated and valued the background from which she came, she said it was chiefly through the Community that her growth and development was challenged, and often pushed beyond what she thought she could do. “My almost 25 years in the bursar’s office may not have been that different from my four years in the bank, but I learned that all work is of equal value if done to the glory of God.